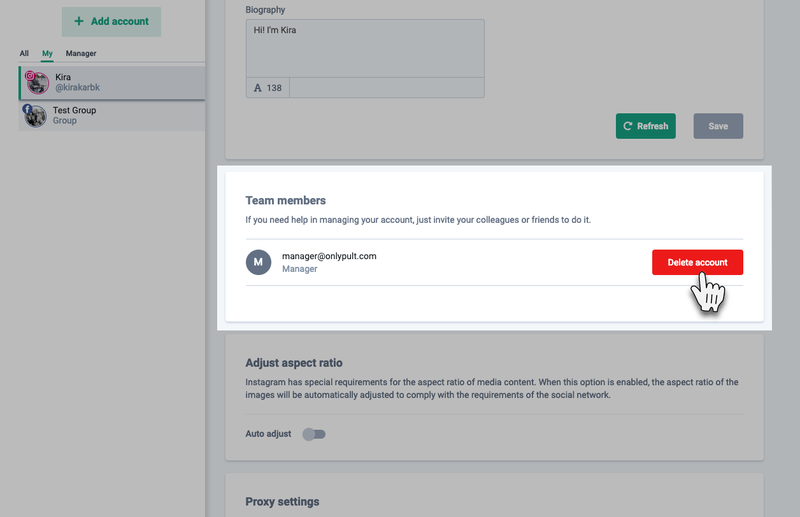 Using Onlypult you can give access to managing your account on social media, without fearing a third party or an employee who left would steal the account or do harm to your company. After sending an invitation, the manager will receive a letter with a link to activate the Onlypult account. Important: if the manager’s e-mail has already been used on Onlypult, the letter will only inform him/her that he/she is given access – it will not contain the activation link.